Since tomorrow is the 99th anniversary of the Battle of Vimy Ridge, that often mentioned hallmark of Canadian nationhood, it’s appropriate to have a blog post discussing the battle. Vimy is very hard to write about; it is brought forward every year as THE Canadian battle of the First World War, and with all the accompanying platitudes and official language it can feel a little bit stale. Vimy is without a doubt a very important battle, not only because it was a victorious one (one of the first complete victories for the Allies in the war to that date), but because it was the coalescing point for the lessons learned on the Somme and in the chaotic battles of 1915 and the spring of 1916. There are many myths of Vimy; that Canadians invented the creeping barrage (they did not), that Canadians pioneered the use of maps for the lower ranks (they certainly had the first advantage of maps for the battle, but this was the result of a general order, not Canadian invention), or that Currie was the mind behind Vimy (he was instrumental, but much of the credit still needs to go to Major General Byng, who was the commander of the Canadian Corps at the time). It’s wonderful to think of Vimy as this moment of grand Canadian innovation and united nationhood, and in many ways it was, but it was also a case of right place, right force, right time. The Canadian Corps was, in comparison to the British Army, very small and easily manoeuvred. The Corps had the luck as well not to be broken up along the front, but positioned together. As the war progressed in 1917, Currie fought hard to keep the Corps together, recognizing that its cohesiveness and sense of belonging made it a formidable attacking force. This was not always so. The Corps in the spring of 1916 had very little esprit de corps, and in fact there was considerable rivalry among the divisions. The 2nd Division, for instance, was reviled throughout the Corps as having been the one to lose St. Eloi. By 1917, after being grouped together and training together during the extensive preparation for the Vimy attack, the Corps had a very different character. There is no doubt also that Vimy Ridge was a very hard objective. The French General Robert Nivelle privately doubted that the Canadians could even take Vimy, though Haig maintained that it was possible. Byng and Currie were lucky that the lead-up to the battle was exceptionally long (almost 4 months), giving them time to plan the assault and train the assaulting infantry using scale models of the area. 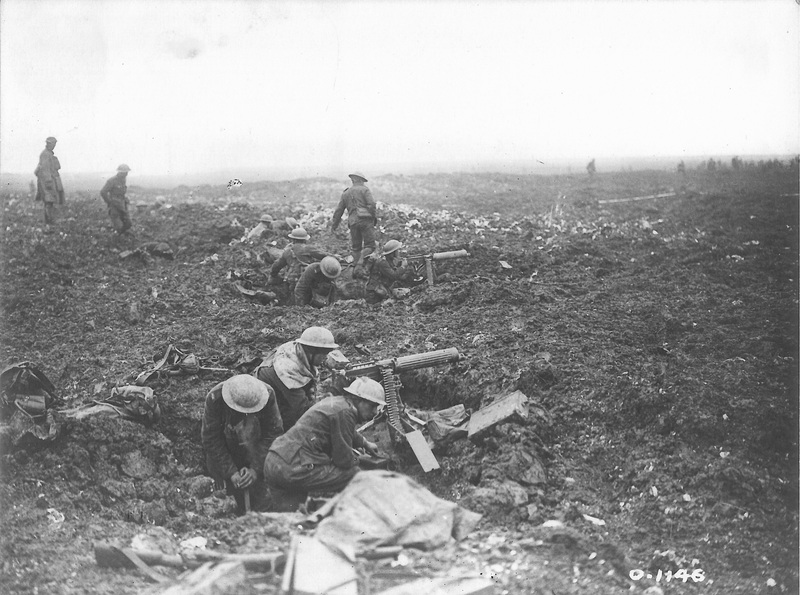 The approach to Vimy was also exceptionally long (several kilometres), which normally would have been an enormous disadvantage as infantry and supplies would have had to move across open ground that was easily shelled by the superior German positions on the top of the ridge. However, Vimy had been the site of two other Allied assaults earlier in the war (French and British), and there was the beginning of a tunneling system below the area in front of the ridge. This was expanded enormously by British and Canadian tunneling crews, allowing for the storage of ammunition, food and medical supplies, as well as the hosteling of thousands of men as they waiting to go to their jumping off points further up the lines. The size of the area around Vimy ended up being very advantageous, giving the Canadians room to maneuver and prepare. The attack was also at the right time. The Canadian Corps had the distinct advantage of taking part in the first major attack organised by the British since the disastrous Somme the summer of 1916. By the fall of the same year, General Hubert Gough had already issued his Memorandum of Attacks, which called for increased participation by platoons and companies in the decisions surrounding meeting their objectives, and the importance of Lewis guns and sufficient ammunition. The issuing of maps to the lower ranks was also ordered, and the Canadian Corps would receive thousands of copies of maps of the Ridge before they would go over the top on 9 April, 1917. The lessons of the Somme were hard and bloody ones, but by 1917 a group as small as the Canadian Corps could be sufficiently trained in the new doctrinal methods to ensure success. Increased coordination between the artillery and the front lines also allowed for the perfection of the creeping barrage, which had been used with great success by the French earlier at Verdun and would go a long way to making the Canadian attack at Vimy a success too. The point of this article is not in any way to take away from the place of Vimy in the Canadian myth, it was and is an amazing victory, and more importantly, a taste of the battles that the Canadians would fight in the coming years, when they did not lose a single engagement. Rather, it is to point out that Vimy was the coalescence of years of terrible experience, the point when everything came together. The Canadian Corps didn’t just spring into being on that day in April 1917, it was the result of two years of training, death and mistakes that bound together not only the men, but their commanders. That these people could go on to win at Vimy after the two years before is to me more amazing than the victory itself. It is a testament to adaptation, clever thinking, and never, ever giving up.